Building on the 2016 HASTAC Wearables and Tangible Computing Research Charrette, we are hosting an exhibition at HASTAC 2017 (Nov 2-4, Florida). We invite proposals for participation from scholars, artists, and activists at both student and professional levels. 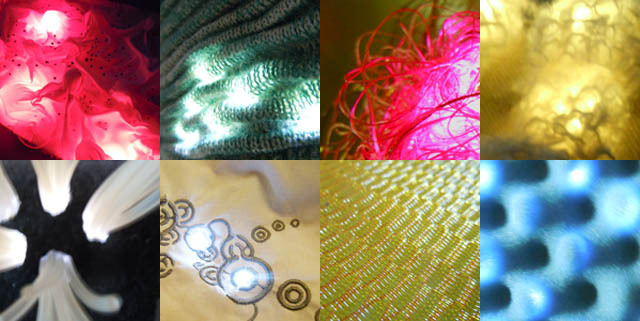 In particular, we are eager to see emerging and exploratory work in the broad range of wearables and tangible computing. In keeping with the Possible Worlds thematic of the event, proposals can be past, present, or future oriented and speculative work is welcome. Each exhibition team or individual will have a 6×6 foot space in the exhibition and we will provide one table and accessible power to all exhibitions. To submit a proposal, please send a project description (max 500 words), team roster, and any supporting visual materials to Jacqueline Wernimont (jwernimo@asu.edu) and Kim Knight (kim.knight@utdallas.edu) by 5 p.m. PST August 1, 2017. A maximum of 10 exhibitions will be selected for this event. All participant-applicants will be notified by August 22, 2017.